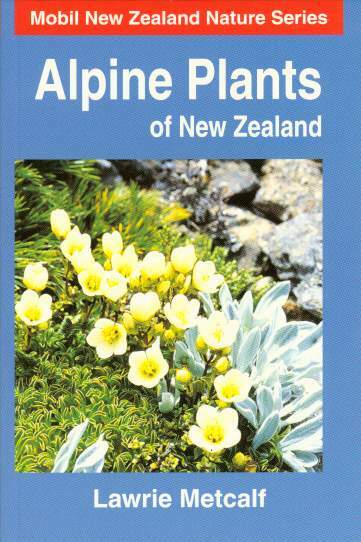 An erect shrub or small tree up to 11 m tall, but usually about 1-1.5 m in the alpine zone. Bark dark grey to blackish. Branches slender, ringed with the scars of fallen leaves. Leaves: Crowded towards the tips of the branchless, 7.5-25 cm long by 3-7 mm wide, tapering to a drawn-out, pointed tip. Flowers: In clusters on short branchless just below the tufts of leaves; white, tubular, 7-8 mm long. North, South and Stewart Islands in coastal to low alpine regions from about East Cape southwards. Sea level to 1200 metres. Quite widespread in most mountain regions, but much commoner in the higher rainfall regions of the South and Stewart Islands. 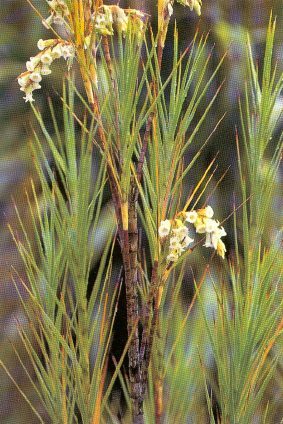 Occurs in open forests and near the tree-line, and is often an important part of subalpine scrub and, sometimes, in mixed snow tussock-scrub. Identification: A very variable species, particularly when growing above the tree-line. In some areas the leaves are very narrow and seldom more than 3 mm wide, while in others they may be up to 5 mm or more wide. Forest plants, particularly in southern areas, frequently have wider leaves. Flowering: Between November and January.